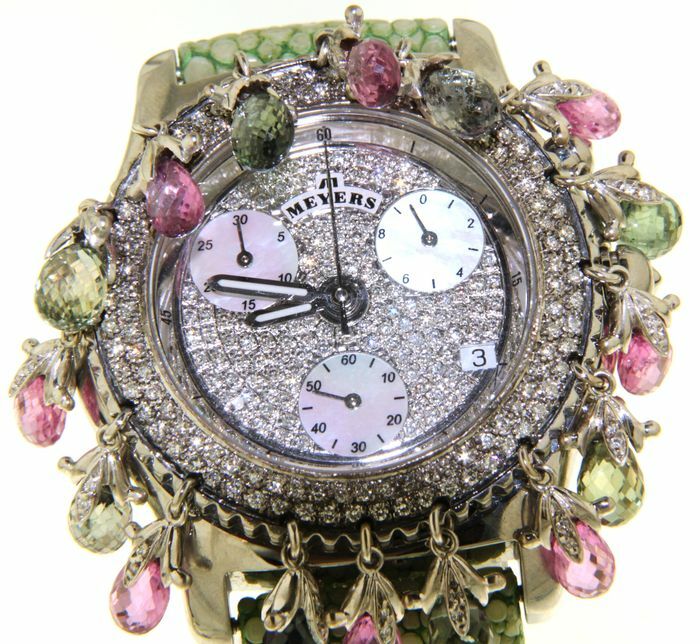 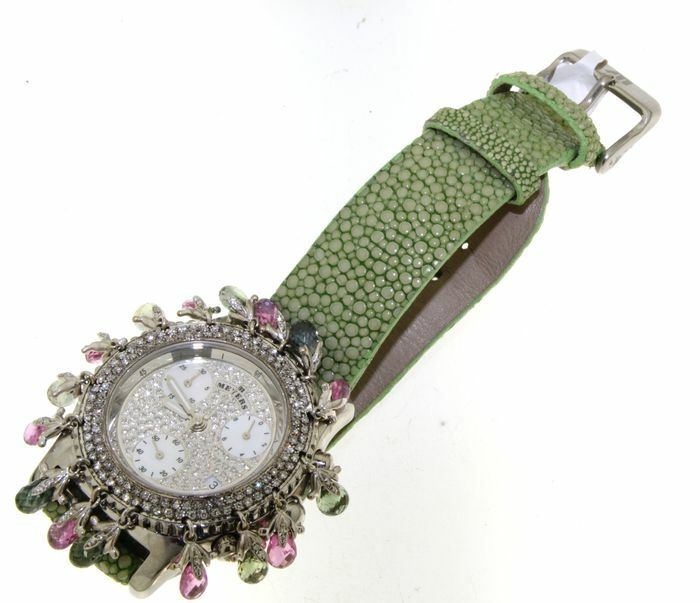 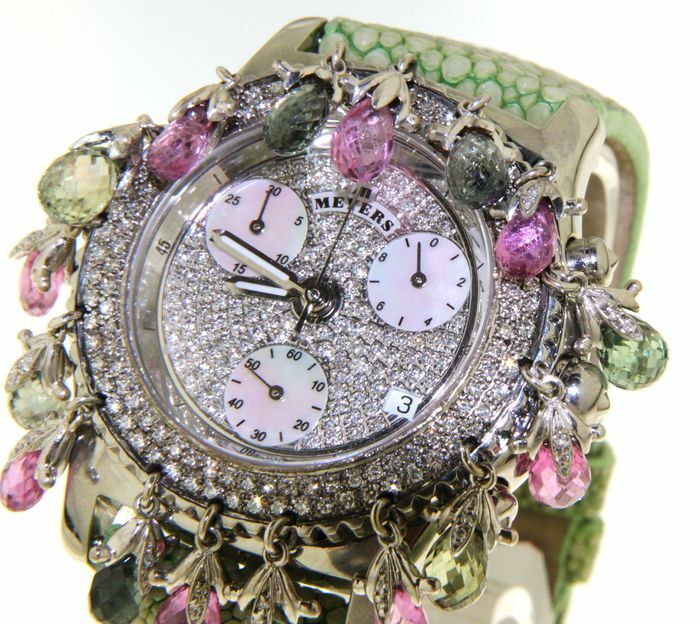 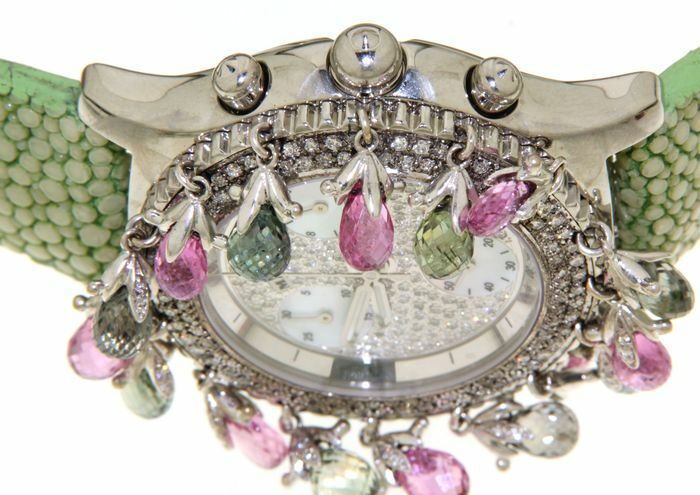 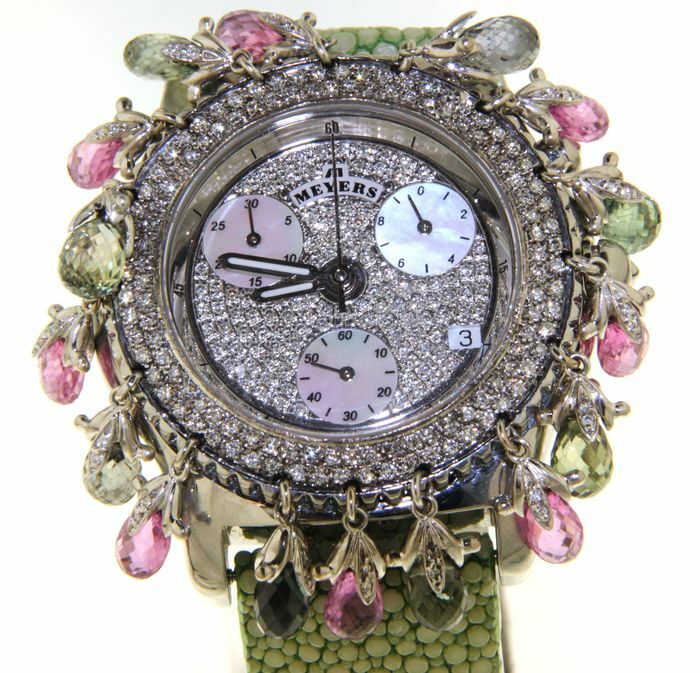 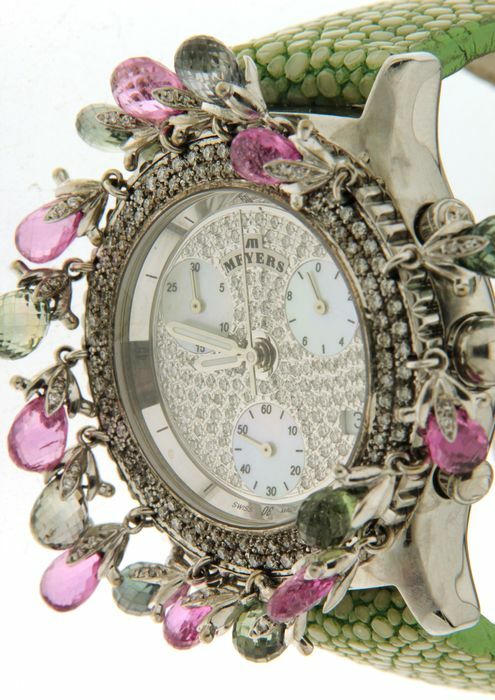 Gorgeous ladies’ timepiece set with brilliants and gemstones. 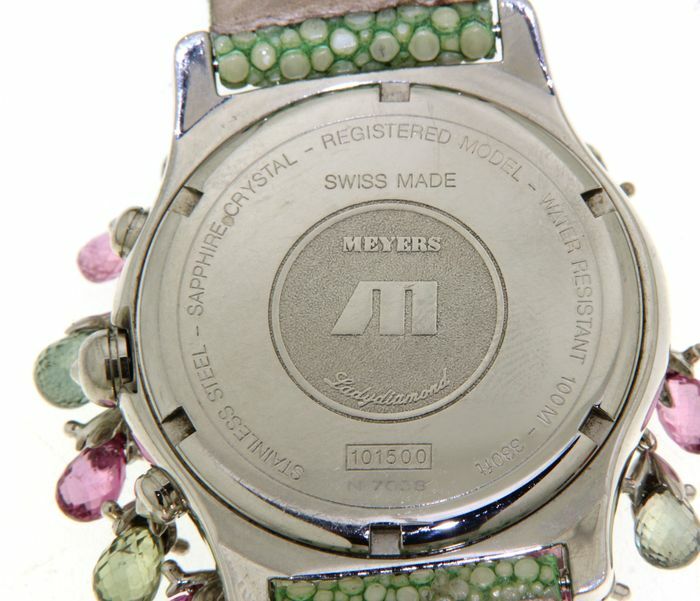 Case: Stainless steel, diameter 38 mm, height 11 mm, sapphire crystal, screw-back cover, bezel complete set with diamonds and adorned with charms in semi-precious stones, screwed crown. 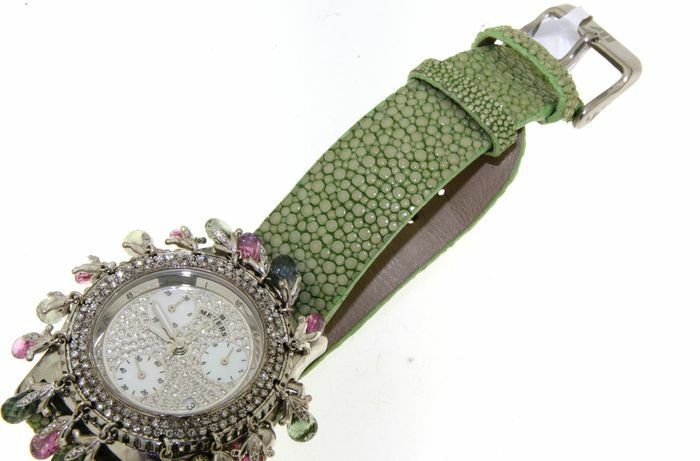 Strap: Green galuche leather strap with regular buckle, length 19 cm.